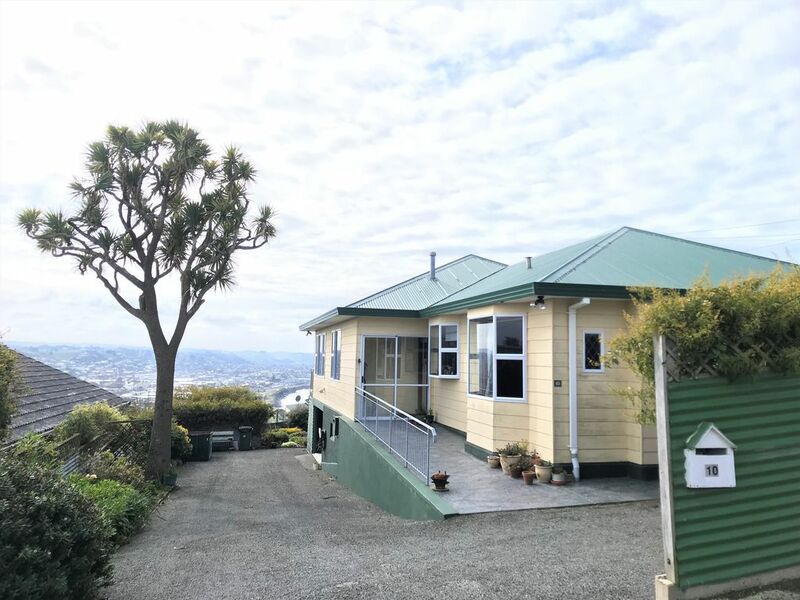 This beautiful family home is an easy stroll to the lookout and a short walk to restaurants, pubs, brewery, shops, the historic Victorian precinct, Steampunk HQ and the Oamaru blue penguin colony. Perfect location and a safe neighbourhood. Good for couples, business travelers, families and groups. Newly renovated with stunning ocean, harbour, town and mountain views. Warm, comfortable and fully equipped for living. Sit on the deck and watch the sun rise from the ocean to the sun set over the Southern Alps Mountain Range. Take a stroll around Pam's garden lovingly cared for. Perfect location for the end of the Alps to Ocean cycle trail A2O. All bedding plus bathroom linen and kitchen linen. Yes, and there is a washing line outside. Open plan living, dining and kitchen with sweeping views from sunrise to sunset. Tea, coffee, hot chocolate, sugar, salt and pepper. Lovingly manicured garden and lawn area. Very Good-- Spacious and comfortable with views overlooking harbor and town. Our one night at Pam's Place was too short-- we would have been happy here for several nights. The house is in a quiet residential neighborhood high above the Blue Penguin colony, overlooking the harbor, town and its own lovely garden. It was easy to find and enter with parking in the driveway or on the street. (We were glad to have a car for the steep hills)The house was very spacious with the MBR and bath at the harbor end and more rooms partitioned with a door on the other end. The beds were comfortable and everything we needed was there. The owner stopped by briefly to instruct us how to turn on the gas fireplace in the living room for heat, asking us to turn it off at night when we went to bed, which we did, and the house was warm enough throughout for us ( January). We can recommend The Brewery at the base of the hill for dinner before the Blue Penguin colony at sunset. It was the perfect place to stay in Oamaru. A lovely home with a beautiful view! The home is clean and large enough for two families to enjoy comfortably (we had 4 adults and 3 children.) There is a beautiful view from the deck, and it is just a short walk to dinner and the penguin viewing. The owner was kind and helpful. We would definitely stay again if we make it back to New Zealand. Wonderful guests to have stay and we would recommend to other hosts.